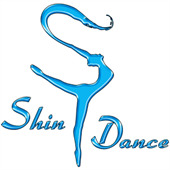 Welcome to the Shin Dance Academy OnLine Registration. An email confirming your registration application will be sent to the registered email you provided. Please click on the Search button below and choose the level of class you or your child are enrolling. It will only list classes that have openings. If you are unable to view a class listed on our schedule, please feel free to call the studio (626) 286-1200 for further assistance. * NO GUM chewing on the dance studio premises. * YELLING, RUNNING AROUND or HANGING ON BARRES is not permitted. * NO TALKING DURING CLASS. * NO OPEN DRINKS OR PHONES IN THE DANCE STUDIOS. * ARRIVE ON TIME. It is recommended to arrive to the studio 10 minutes before class time. Warm-up is one of the most important parts of class and LATE STUDENTS DISRUPT THE CLASS. * The school reserves the right to have students who come late to class, sit out the class as it is a disruption to other students. Repeated or excessive absences or tardiness may result in termination of enrollment or suspension from performances. *Dishonesty, disruptive behavior, physical abuse, verbal abuse, inappropriate language, vandalism or any other inappropriate conduct will not be tolerated. 1) An SDA registered student, currently enrolled in the class of the Private session. 3) STUDENT MUST ARRIVE 10 MINUTES BEFORE PRIVATE SESSION TO WARM-UP. 4) CANCELLATION OF PRIVATE SESSION MUST BE MADE 24 HOURS IN ADVANCE, OTHERWISE THERE IS A $10. CANCELLATION CHARGE. *SDA does not take responsibility for the loss of any belongings. Please do not bring valuables. We ask that students leave all personal belongings in the storage cubbies. It is advised that you label your child's dance shoes and other belongings. *SDA staff will always start and finish class on time. Dancers should be picked up promptly. Dancers should be dropped off early enough to have time to change clothes, shoes, and put hair up but should be dropped off no more than 10 minutes before class. This helps cut down on student & parent traffic between classes. *It is the responsibility of the parent or adult student to be aware of all school activities such as recitals, extra classes and dates the school is open or closed. The school will email such notices home to parents, hand notices out in class, as well as post information on the school bulletin board and our website. * Please adhere to the dress code for each dance class. The dress code allows the teacher to see a dancer's alignment and positioning. Baggy clothing can mask bad habits, making corrections impossible. Dress code will create uniformity, teach students discipline, helping with overall focus and energy. ** Pink ballet slippers, pink tights, color of leotard dependent on class level. Hair must be secured in a tight, neat hair-bun. Skirt is optional. (or tap shoes required for tap). *ADMINISTRATION FEE: $25 is due upon initial registration. This non-refundable fee covers the cost of registering and MAINTAINING your family records. The administrative fee applies to ALL programs at Shin Dance Academy, except Summer Sessions or Special Events. *RE-ENROLLMENT: $10. is due beginning of September of each year, unless a family takes an absence of more than 10 months. *FAMILY DISCOUNT: 5% discount for each additional member of the immediate family. The discount(s)Each additional class per student calculated on the lower priced class(es) for all programs at SDA! This does not include private lessons or class cards. *MONTHLY TUITION: Due the 1st of each month. Families will have a grace period to the 5th. *HOLIDAY BREAK: Our monthly tuition is based on a 4-week month. No additional charge is assessed for the 6th class, UNLESS FAMILIES SKIP A MONTH OR PAY SINGLE CLASS. All families are guaranteed 40 classes per year ( September - June ). *LATE FEE: $12 will be charged after the 6th to your account, if tuition has not been paid on time. If tuition is not paid on or before the 6th of the month, the credit card on file will be charged for the monthly tuition fee, plus a $12. Late Fee. This will occur after the 6th of the month. Balances are not permitted to carry over from month to month. By signing up for classes at Shin Dance Academy, you agree to the above payment policy. *CREDIT CARD: Each family is required to have a credit card on file. For your privacy and security, credit card numbers cannot be seen by any Shin Dance staff member once they have been entered into the system. 1) AUTO PAYMENT: collected on the first day of each month. Only VISA, MasterCard or Discover are accepted. 2) CHECK: Please make check payable to: SHIN DANCE ACADEMY, INC. and add student's name on the memo portion of the check. Returned checks will be assessed a $25. 3) CASH: Payments may be made in person in the administration office. Please make sure to receive a cash receipt for confirmation of payment. 4) CUSTOMER PORTAL: You may pay online at our website: www.ShinDance.com through your customer portal. *Tuition is not prorated for absences. Please see the MAKE-UP POLICY. *Tuition Rates are subject to change. I understand, agree, and acknowledge that there are risks inherent in sports activities conducted by Shin Dance Academy, Inc., including but not limited to paralyzing injuries, brain injuries, and death. These activities may be of a hazardous nature and/or may include activities such as spinning, jumping, a variety of strenuous exercise and physical activities. With the full understanding of the facts, I state that to the best of my knowledge, the student listed has no medical, physical, or emotional health conditions which would hinder or prevent his/her participation in Shin Dance Academy, Inc., classes and performances. The undersigned gives permission to Shin Dance Academy, Inc., its owners and operators to seek medical treatment for the participant in the event they are not able to reach a parent or guardian. I hereby declare that any physical/mental problems, restrictions, or conditions that exist have been fully disclosed and/or declare the participant to be in good physical and mental health. All recorded material taken by Shin Dance Academy, Inc., is fully copywrited and has permission to be used for any and all promotional purposes. All rights reserved. No photos or videos may be copied, reproduced or transferred without the written permission from Shin Dance Academy, Inc.
SDA does not want to see anyone go, but we realize that situations happen. As a courtesy, we ask parents for a one month notice, if the child is going to discontinue classes. This way we can invite the next child on the waiting list to join the class the following month. If you are not satisfied for any reason with your experience at Shin Dance Academy, please let us know so that we may continue to offer the best programs possible. As the legal parent or guardian, I release Shin Dance Academy, Inc., its owners and operators from any and all liability, claims, demands, and causes of action whatsoever, arising out of or related to any loss, damage, or injury, including death, that may be sustained by the participant and/or the undersigned, while in or on the premises or any premises under the control and supervision of SDA Inc., its owners and operators or in route to or from any of said premises.